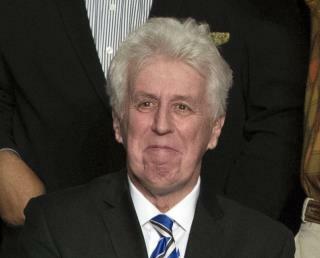 (Newser) – CNN has decided to cut its ties with Jeffrey Lord, one of its only pro-President Trump commentators. The last straw came when Lord tweeted the Nazi salute "Sieg Heil!" during an exchange with Media Matters chief Angelo Carusone, Politico reports. "Nazi salutes are indefensible," CNN said in a statement. "Jeffrey Lord is no longer with the network." Lord, however, tells Vox that he was mocking Nazis and Carusone's alleged "Mussolini-style tactics" to suppress free speech. "I was saying they were fascists modeling themselves after Nazis," he says. What he did was a standard way of mocking someone for behaving in a Nazi-like way. It takes a stunning lack of social competence to see a mocking Sieg Heil aimed at an opponent in an argument and interpret it as supporting Nazis. Jon Stewart frequently used the same technique on the Daily Show. Was he ever canned or even criticized for supporting Nazis? Another example is when an authority figure tells someone to do something and the person being told replies with 'Aye Aye Captain Bligh'. That statement is not support for Captain Bligh, it is likening the order-giver to Captain Bligh. Good riddance to white trash. You can liken the right to Nazi's all day long but don't dare liken a lefty, you'll get canned.